A new film, produced by the European Parkinson’s Disease Association (EPDA), aims to shine a light on how wearable data-capturing devices can help improve discussions about symptoms between people with Parkinson’s and their doctors – as well as inform doctors on the effectiveness of a treatment and whether adjustments are needed. Increasingly, assessment tools are available that use technology to monitor symptoms and provide reliable feedback to remote care teams based on ‘objective measurements’. In the case of Parkinson’s, data can be gathered using devices that quantify a physical variable (often a symptom) to obtain accurate measurements – rather than rely only on subjective, human assessment. The four-minute EPDA film focuses on Fred, an 81-year-old British man who was diagnosed with Parkinson’s 12 years ago. He and his wife Olive visit their Parkinson’s specialist neurologist, Dr Dominic Paviour, to receive their objective measurement tool: a Parkinson’s KinetiGraph™ (PKG™)-watch. Worn on the wrist, the PKG™-watch objectively measures and records symptoms continuously during a seven-day period. The information collected by the PKG™-watch generates a report that informs communication and discussion between the patient, carer and doctor about certain symptoms and events that have been experienced during the recording time. Traditionally, people with Parkinson’s and their carers track symptom fluctuations by keeping a diary. However, symptoms may vary significantly during the days, weeks or even months, resulting in stringent diary keeping, which is often time-consuming and based on memory (and not necessarily accurate). “What the patient says is incredibly valuable, nuanced and individualised, but one has to wonder how accurate that information is, and whether they are actually just telling me about some of the symptoms they have had in the preceding days or weeks,” said Dr Paviour, a consultant neurologist at St George’s Hospital in London, UK, when interviewed for the film. 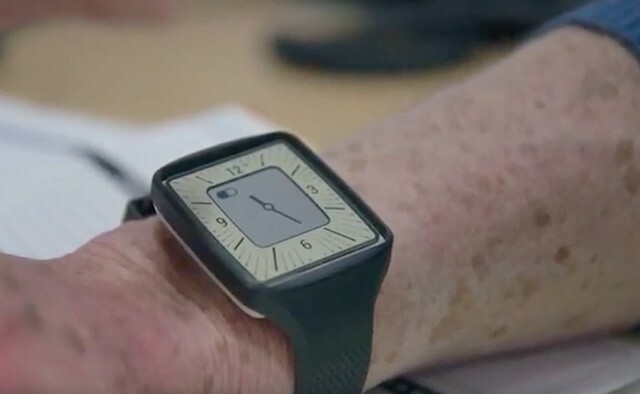 By generating continuous and objective measurements via a Parkinson’s wearable device, however, a person’s symptoms can be electronically recorded without relying on the patient to accurately remember and write down all their symptoms in the diary. Lizzie Graham, executive director of the EPDA, believes the film could be a valuable tool to help empower patients and families in their own decision-making process. 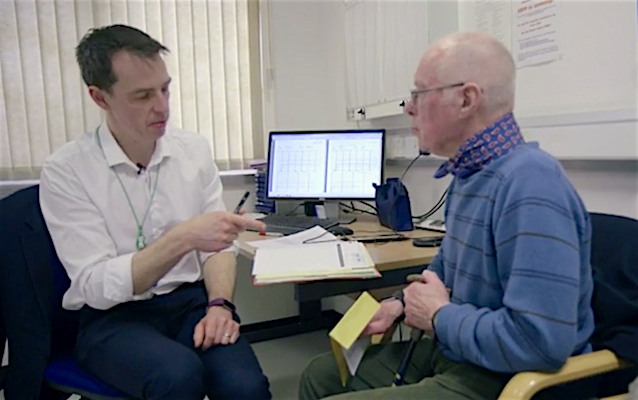 “This documentary-style film shows clearly how objective measurement data can provide a neurologist and/or healthcare professional with accurate day-to-day information for a person with Parkinson’s. “This data, in turn, makes it easier for doctors to better tailor a treatment to that specific individual. This type of information is invaluable in helping the neurologist better understand a person’s unique set of symptoms, which can ultimately determine whether a change in therapy is required or not. Disclaimer: Both the film and article were sponsored by Global Kinetics Corporation Ltd (GKC). The Parkinson’s KinetiGraph™ shown in the film is manufactured and distributed by GKC. GKC takes no responsibility for the views and comments expressed in the film.